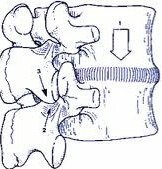 When an area of the spine has been hurt, the nearby muscles adopt a protective, low grade clench as a temporary measure to splint the part and take it temporarily out of action. The aim of this is to give the damaged soft-tissue structures time to heal. Usually, this automatic mechanism works well; in a few days the stiffness and soreness passes and you are back to normal. But sometimes, the protective clench goes overboard with enthusiasm. This usually happens because you are too wary; too protective of your back; because you are frightened of it, or you've been told by well-meaning folk to be ultra-careful with it! This over-dwelling on it, or over-cautiousness, can allow the protective muscle hold to keep on keeping on, well beyond its usefulness date. 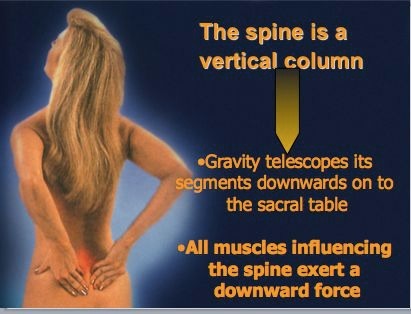 Back spasms start striking as if the back muscles have developed a mind of their own. At the height of crisis the back alternates between being tired and twingey, with the muscles tense and hard to the touch, and suffering repeated electrically painful grabs, or back spasms, whenever you go to move. Inevitably, you close down expansive movement as much as possible to avoid the muscles grabbing and giving you another painful yank. What is happening here in effect is a what I call a 'bungled baton change' where one muscle doesn't let go properly as another muscle takes over responsibility for an action, or movement. Instead of the original muscle relinquishing control and letting go, it frenzies as it loses charge and grabs even harder. This is what gives you that excruciating jerk of pain. back spasms cause . . . The back spasms are the obvious outward sign of a back in crisis but there are less obvious ill-effects going on inside that are all to do with the excessive spinal compression. 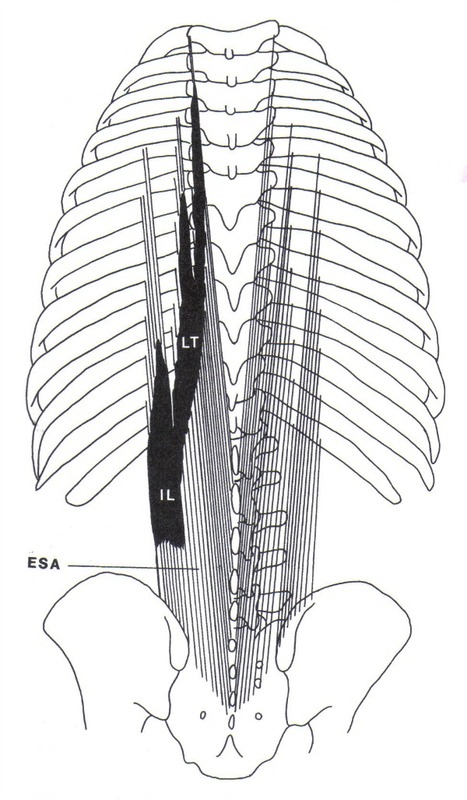 Apart from these frighteningly painful back twinges the spinal muscles themselves feel sore and achy, while at the same time, the heightened clench of the muscles increases spinal compression which creates more invisible mischief of the biosynthetic processes going on inside the discs themselves. Spinal compression (or loading) causes the slow death of discs whose viability is borderline, even at the best of times. With years of not moving properly, sitting bolt upright (because you feel you’re doing the right thing), never bending if you can avoid it allows the muscle to stay clenched and steadily makes the back worse. On the other hand, moving freely, forging through and making your back do things, even when it feels stiff, is the best thing you can do for it. 'The Back Sufferers' Bible' is easy to read and tells you all about what you can do yourself. It is the market leader in both the UK and Australia. You may be interested to read some readers reviews on Amazon.co.uk from others who have gone before you. To order from the USA or Australia see below. At this point, you may need back pain medication to knock the peak off an acute flare-up ~ to help you manage it and get over it quickly. As long as you are doing your spinal appeasing exercises to start seeing the problem off physically, the right medication for back pain too has an important contribution to make. Don't fight the taking pills thing. Lots of my patients resist using medication simply because they have been fobbed off with it so many times before. Remember, the right medication, at the right dosage, for the right duration will make all the difference to your recovery. Don't fight it. You may be interested to read the link by Dr Peter Lacey 'Back Pain Medications' to understand the role of tablets in back pain in greater depth, although it's very important to consult your own doctor who knows you, and your medical history, before starting. If you'd like to see Sarah talking about back spasms and what happens to a spine in acute back pain you can download a short video here called 'Appeasing a Spine in Crisis.' She describes it as like the advance-and-retreat of a military campaign. 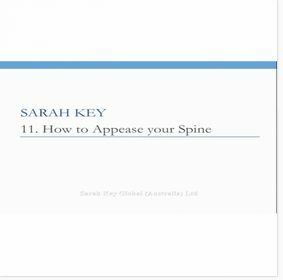 In this website I explain the degenerative sequence of a spinal link (we call it a motion segment) that may progress right through the 5 stages, although 90%, as you now know, stop at Stage 1. Unremitting muscle spasm is one of the main causes of backs getting worse. here's some further reading . . .
You might like to read here about sciatica (pain in the leg) which develops as the back problem gets worse. You can also read about sciatica pain treatment. You can't hurry the back at this stage. So do read this, as you are best doing the treatment yourself.